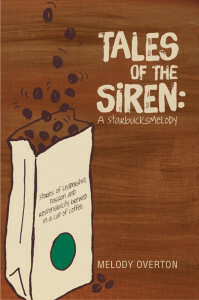 I’m announcing that the StarbucksMelody book is now available! You will love this book. It’s not a conversion of blog to book, rather it contains almost entirely new material. This book covers my unique experiences during the brand’s transformation, community service events in Seattle, and friendships with customers and partners. Download the book for your Kindle. Buy a paperback from Amazon.com. Buy an ecopy at Smashwords.com. For those who use iBooks, you can find Tales of the Siren in the iTunes store. The Nook format or Barnes & Noble listing is here. Buy a copy from Alphabet Soup Bookstore at 1406 N. 45th Street, Seattle, WA 98103. (Open Wednesday through Saturday, 11 AM to 8 PM). I’m still working with the Coffee Gear Store in hopes that you’ll be able to buy a paperback copy there. If you enjoy this blog, I think you’ll enjoy the book too. Please pick up a copy. Email me with questions or press inquiries to Melody at StarbucksMelody dot com. Coffee Tasting Fun: Recent Events at Starbucks. The Starbucks Refill Policy Update. Partner Chalkboard Art for Starbucks Rewards; A peek in a Starbucks in Shanghai. How good were GOOD sheets at Starbucks? Starbucks always wishes you a happy birthday! Officially congrats! Looking forward to getting my hard copy. So Melody now you have to do book signings all over the USA and then you can visit more SB locations. Actually, there are a few really nice neighborhood (non chain) bookstores around here that do book signings. Thanks. Mike, if you’re enjoying it, I hope you’ll consider writing an amazon.com review. @Leslee and Purple1 – You guys are very kind! When Howard writes a book, it’s automatically a best seller! He tours the world. Me: I just keep working away at my career. Book stores have never heard of me! Congrats Melody!!! (will have to get a virtual signing from you) You should be so proud! Melody, I’d be glad to give a review and recommend it. I’ve been posting about it on the Book-Face for a while now; my friends are probably sick of hearing about it. I hope they bought their own copy because they aren’t getting mine. Melody, A big BRAVO and congratulations on this momentous day. I am thinking positive thoughts for you on this latest of your adventures. I just ordered my hard copy on Amazon. It’ll be here Friday! But I couldn’t wait and read a couple chapters on Amazon after I placed my order…it was great – so far! I can see your face when I read it and it’s like you’re visiting me! Can’t help but smile! Hi Melody – In your mailer you mention that “it’s not a conversion of book to blog” – I think you mean that the other way around! @AndoDoug – Thank you for catching that. I fixed it. I’m loving the book!! It’s like reading a never ending blog!! I just got an email on the Summer Star Dash! Can’t wait for your arti cle so we can see what star options people got. @Amanda – I’m glad you’re liking the book! @Chris Meyers – Would you forward to me your Summer Star Dash email? I didn’t get one and I’d like to see yours. I may consider an article on it. Thank you! It’s got all kinds of personal info and customized links to my account so I’ll just tell you the details on the one I got. May 14 to 27. 5 Stars gets you 10 bonus stars. 8 Stars gets you 20 bonus stars. They’ve improved the link to join. Now it recognizes your account from the link itself and activates the stat dash in one click. It also says Bonus Star codes and redemption will be emailed by 6/6. Interesting – they only offered me 9 days in a row for 9 bonus stars, 12 days for 12 bonus stars and 15 days for 15 bonus stars. May 14 to May 28. Congrats! I’m extremely proud of anyone who set out to do something and got it done! now I need to be in Seattle June 7th. Congrats, Melody – ordered the Kindle version and plan to read on vacation!